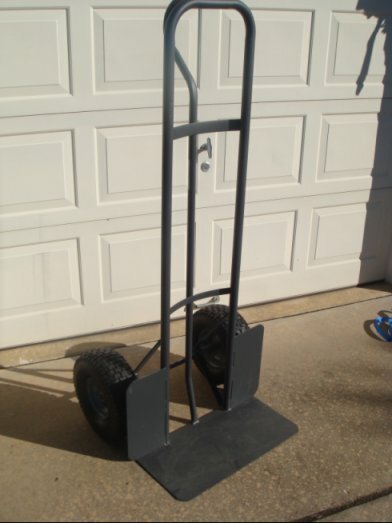 Large 15" pneumatic tires help this MILWAUKEE Hand Truck move loads smoothly over rough terrain indoors or out.P-handle eases maneuverability with one hand. 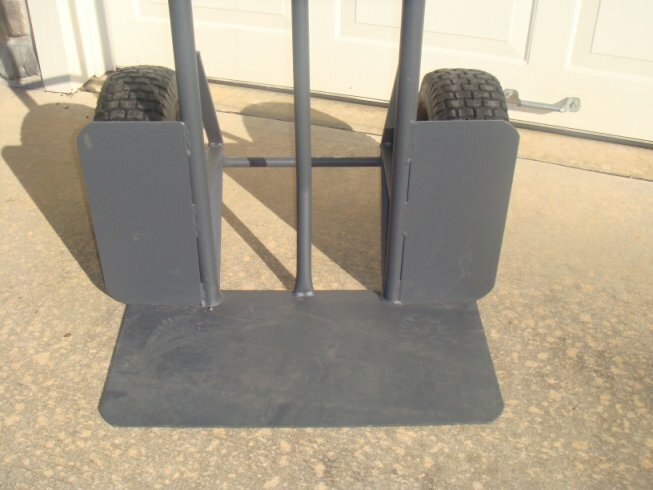 Strong 11/4" tube frame combines with extra-wide noseplate support heavy 1000-lb. loads without compromise. 60"H frame accommodates stacked boxes. 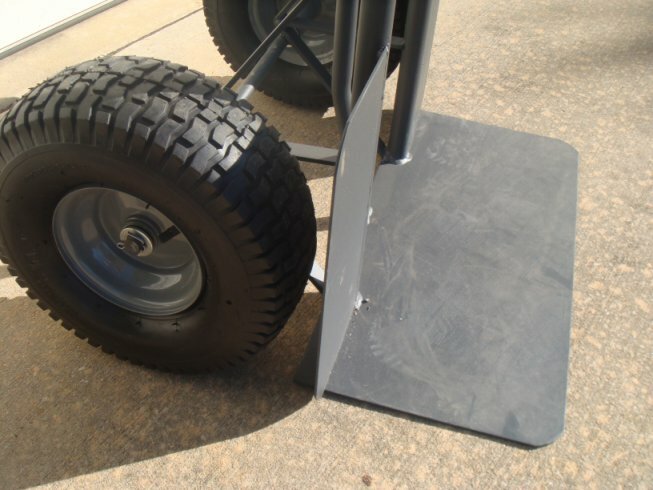 Wheel guards protect load. This dolly is everything I was hoping it would be. 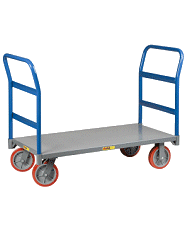 The large wheels and toe plate make moving larger heavy items very easy, particularly over bumpy terrain. I am expecting to have this piece of equipment for a long time. Don't Be Home Without It! Save up your hard earned money and spring for one of these bad boys! This is my second, my first Boss Hoss is still hard at work in California. 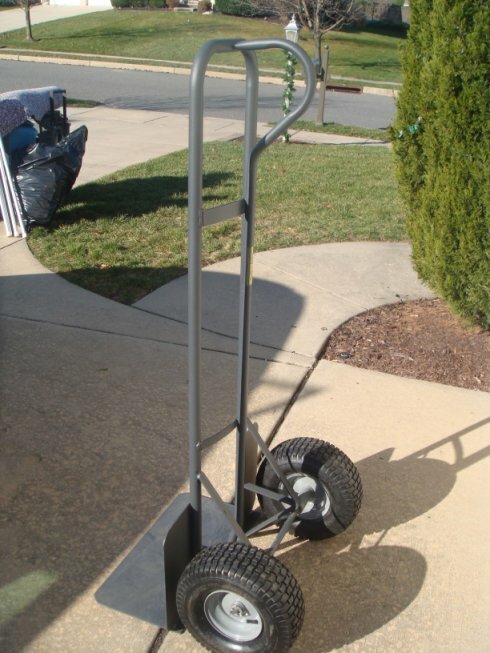 If a guy will spend that kind of money for a two wheel hand truck TWICE, well that is some two wheel hand truck! 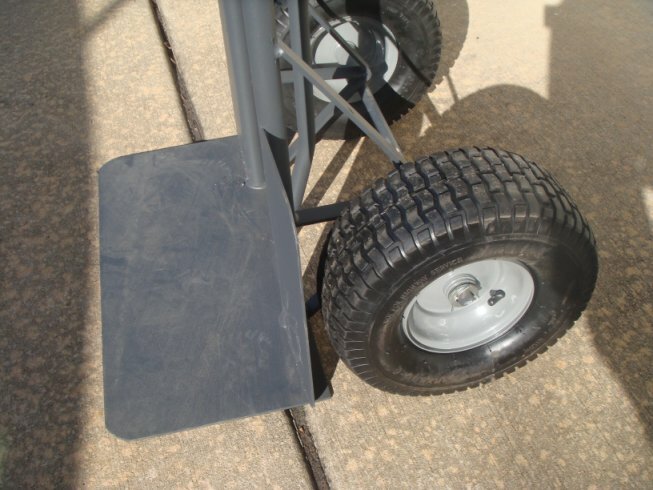 Nothing handles gravel and other uneven surfaces like the Boss Hoss.